An obscure but revered underground Black, Doomdeath act out of Michigan. 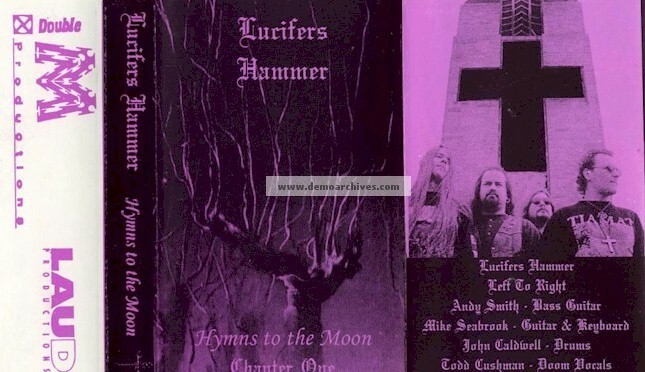 LUCIFER'S HAMMER issued three demo sessions, 1989's Descent Into Beyond', 1992's The Burning Church' and 1995's 'Hymns To The Moon' upfront of the debut album 'The Mists Of Time'. The band date back to the mid eighties. Pro printed covers. No lyrics. Tapes were pro printed.